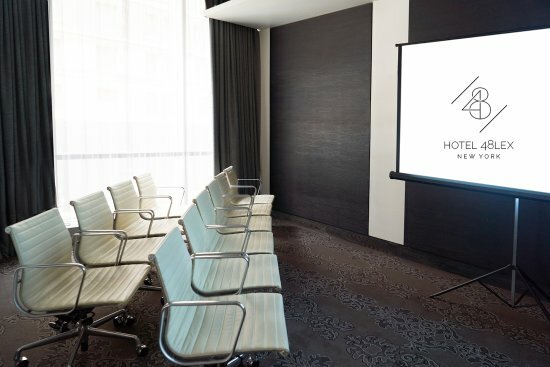 Hotel 48LEX’s expansive meeting space in NYC includes four second floor executive meeting and event spaces equipped with the latest technology, complimentary high-speed WiFi and an elite audio system. Televisions wired through to conference tables provide an easy to use video-conferencing option. Adjacent to these spaces, our business center is a private enclave where guests can utilize computer and printing services. 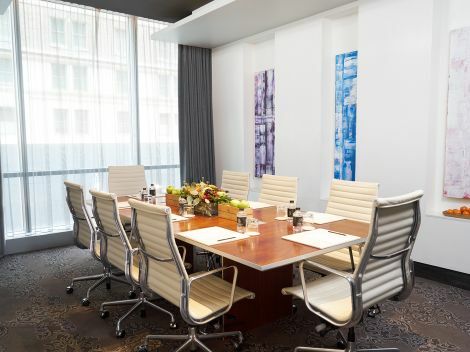 Our stylish, flexible meeting space in Manhattan offers a unique and attractive venue for executive meetings. 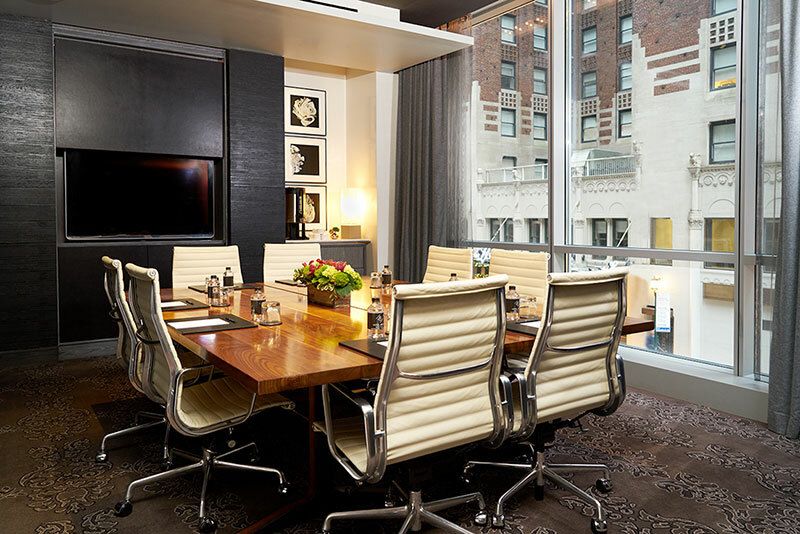 From private gatherings in the Alcove to full board meetings, or an informal reception in one of our suites, Hotel 48LEX has the space and technology needed for a productive meeting in a sophisticated setting. 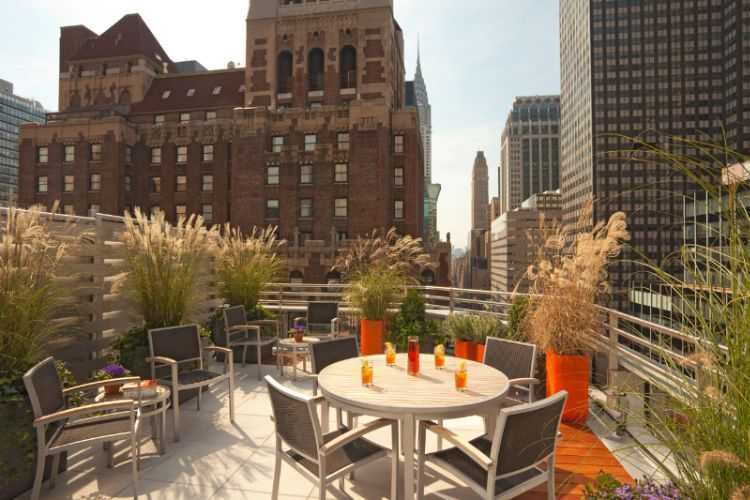 Our meeting space in NYC also includes fully stocked wet bars and snack refrigerators. For a more indulgent meal to break up long days, Hotel 48LEX offers a business catering option from Lexington Brass, our onsite American bistro. 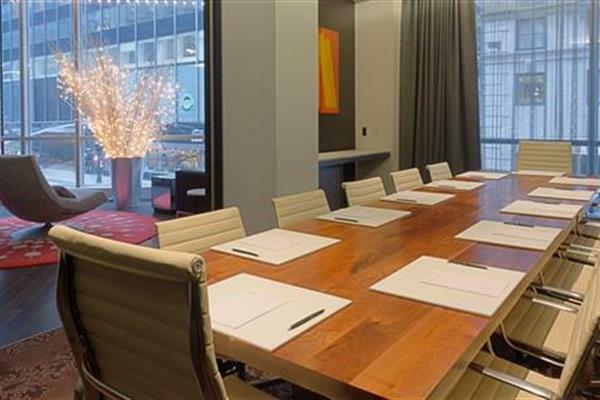 Hotel 48LEX has the flexibility to merge all of its NYC meeting and event spaces into a reception area capable of accommodating up to 150 people. 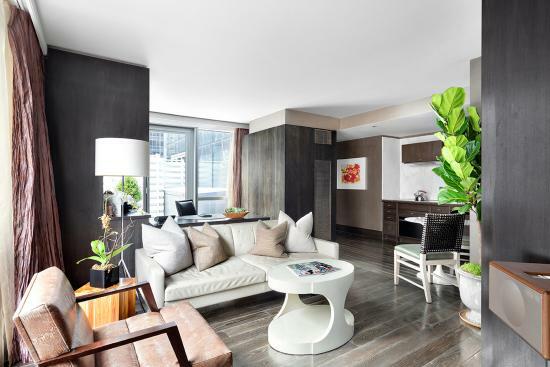 These spaces can also be reserved in smaller combinations and individual rooms for more intimate parties. 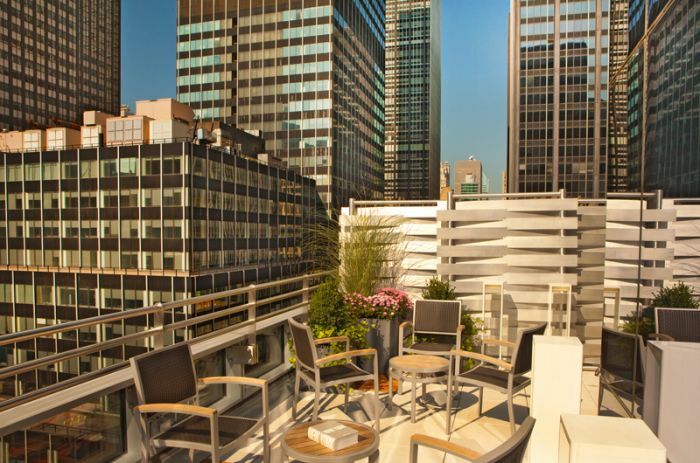 You can also host events in our gorgeous penthouse suites with landscaped private terraces overlooking Midtown. Let us be the host for your special day. We can accommodate intimate outdoor wedding parties of up to 50 people on our combined 800-square-foot terraces outside The Lexington Penthouse. We also offer indoor reception space for up to 150 people. A dynamic wedding venue in Midtown Manhattan, our spaces are ideal for rehearsal dinners and celebratory brunches—whether in our private rooms or at Lexington Brass.